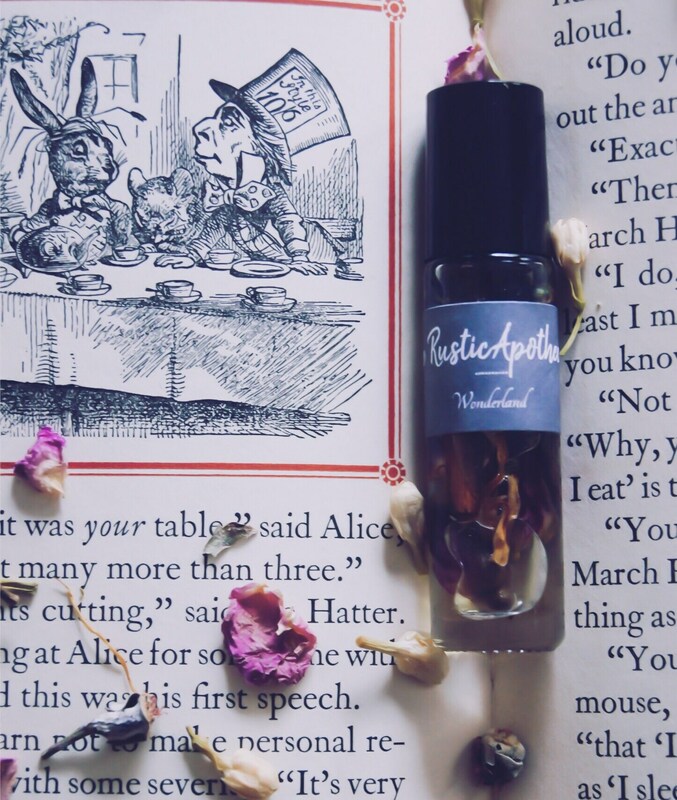 Fragrance profile: Whimsical, mischievous, and intriguing. Fragrance notes: Spicy floral, euphoric forest, and ambrosial delights. Ingredients: Fractioned coconut oil, Vitamin E, and parabens, phthalates, alcohol-free essential oil blend. 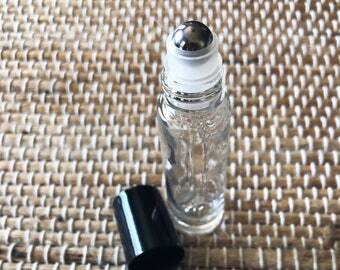 Your fragrance will arrive in a glass bottle with a stainless steel roll-on ball and made to order. No mass batches here. Apply scent to your pulse points (wrists, temples, sides of the neck, inside of your elbow, and breastbone). For maximum benefits apply to moisturized skin. 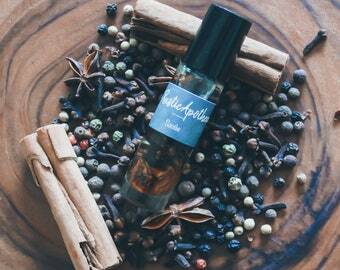 The oil absorbs into your skin and diffuses the scent better than if applied to dry skin. 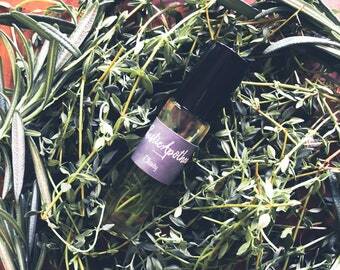 The oils will combine with your chemistry, and the fragrance will evolve with each hour. 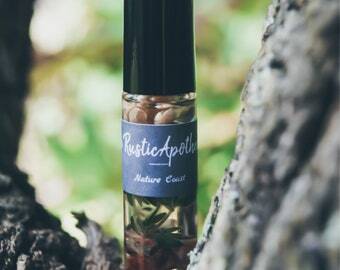 Unlike alcohol-based perfume and cologne, your rollerball oil fragrance will not evaporate quickly, irritate and dry sensitive skin. Check ingredients before purchasing. Consult your physician if you are pregnant, breastfeeding, have a medical condition, taking medication, or undergoing medical treatment. Test an area on the skin to ensure no sensitivities. Discontinue if irritation or rash occurs. DO NOT INGEST. Keep out of reach of children. If a package is lost, stolen or delivered to the wrong address, please contact me as soon as possible. International shipping prices will apply. Because these fragrances are made to order I will not accept returns however if you have problems with the order, please contact me. Orders can be canceled within 12 hours of purchase. 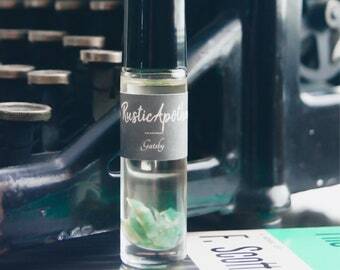 I am picky about my oil scents and everything I've bought from this shop has been amazing. 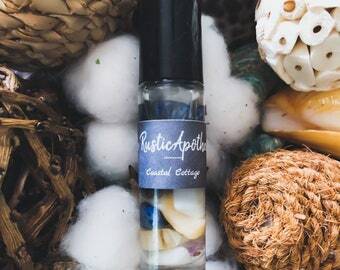 Not too floral or sweet...just the perfect mix of spice and feminine scents...all of them. So far, I've bought Pemberley, Quirky Soul, Wonderland, Soothe, and Clarity. 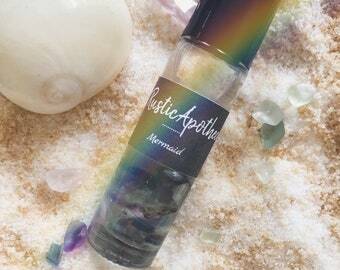 I also received a preview of the Mermaid spray...and wow, it is lush! LOVE them all! A wonderful floral scent. It lasts all day and I love that I can just put it in one spot or all over! Definitely ordering more scents! I love it! 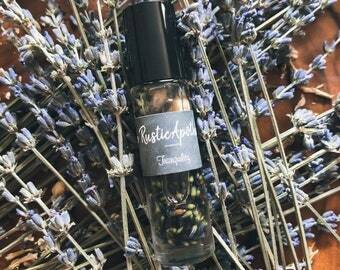 Essential oils in a roll on! 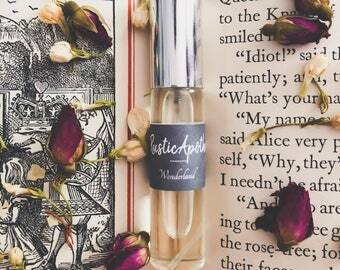 The scent is wonderful and lasts a long time. Looking forward to trying more.